Today is the first day the city will be accepting applications for its popular shared cost sidewalk program. 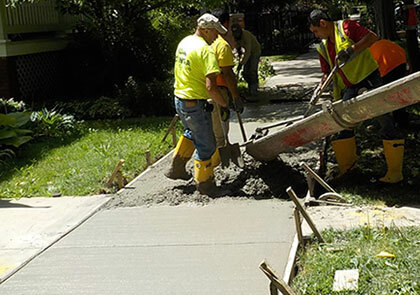 Property owners share the cost of sidewalk repair with the city. Thousands of Chicagoans have been a part of the program, whose cost per square foot charged to property owners is well below what a private contractor would charge. The approximate cost to a property owner in an average mid-block property will range from $600 to $1,500. Senior citizens and persons with disabilities may qualify for 50 percent discount. Applications will be taken on a first-come, first-served basis. The number of participants is based on availability of funds. The program typically reaches capacity quickly, so West Side residents are encouraged to apply early. Please note that if you applied for the program in previous years, you must apply again in 2018 if you wish to be considered this year. Applications will only be accepted through the city’s 311 system by calling 311 or through the city’s service request website. The property owner’s contact information and the property address are required when you submit your request. Some 2,000 people applied last year, but the city only had money to fund 840 households, according to Block Club Chicago. This year, officials hope to accommodate more than 1,000 households.